Clients often ask us whether we prefer Tudor or Rolex watches, and we finally decided to weigh in here. 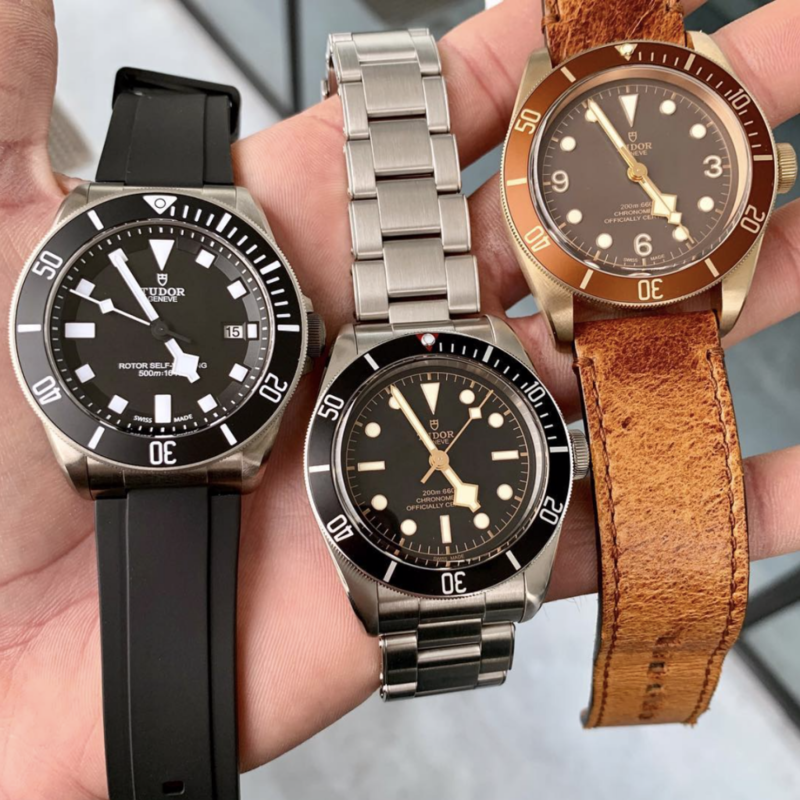 Most individuals versed in the luxury watch scene know Tudor is the little sister brand of Rolex, but most have no idea what the major differences are other than cost. Since we often cover Rolex watches, let’s look a bit closer at the Tudor brand. The Rolex brand is synonymous with style, impeccable craftsmanship, and elite status. Rolex founder Hans Wildorf dreamt of offering this same level of quality and dependability at a more approachable cost. In 1926 the Tudor watch company was born. It was marketed for the working class, boasting a modest price tag compared to its Rolex counterpoint. Tudor officially became the mascot for hard work when the Oyster Prince was manufactured in 1952. It featured an Oyster case and self winding movement. The Oyster Prince was put through hundreds of test hours by a coal miner, a pneumonic drill operator, and a stone cutter. Vintage advertisements depict it performing flawlessly throughout a grueling 1,000 mile motorcycle ride across the Swiss Alps. If you were a badass not afraid to challenge the status-quo or make up your own rules- you HAD to own a Tudor. Not much has changed over the years. The Tudors of today remain at the helm of incredible quality and innovative boundaries. On that note- the Tudor name was adopted from the Tudor era of England, a time marked by resistance. Religious order was overturned, American colonies established, the Royal Navy founded, and European powers were challenged. The movement in a Tudor watch is typically a third party Swiss made ETA or Valjoux movement, while Rolex makes its movement in house. Although Rolex manufactures, distributes, and services both watches, the outsourced movement keeps the Tudor brand more cost effective. Tudor was originally a test ground of sorts for Rolex. Rolex could experiment with different styles and materials too risky for its traditional customer base. Cloth watch straps, titanium cases, and colorful dial combinations are routine in the Tudor line. The major contributor for Tudor affordability would be the third party movement. Rolex manufactures all of its movements in-house, and much of a Rolex watch is crafted by hand. Inside the Rolex manufacturing center, teams of watchmakers and assembly workers ensure every single movement performs perfectly before shipping out to retail sites. The movements are tested for accuracy BEFORE and AFTER the COSC (Official Swiss Chronometer Testing Institute) provides chronometer certification. In addition, Rolex re-tests their movements for accuracy after they are cased for several days. Our final thoughts on the Tudor or Rolex debate? We obviously love them both, but for the purist at heart we’ll always reach for the Rolex. Rolex purists appreciate knowing 100% of their prized watch was crafted with unparalleled quality, in-house materials. Other than Rolex’s in-house movement, many Tudor models utilize the exact case, crown, crystal, and bracelet designs as Rolex. 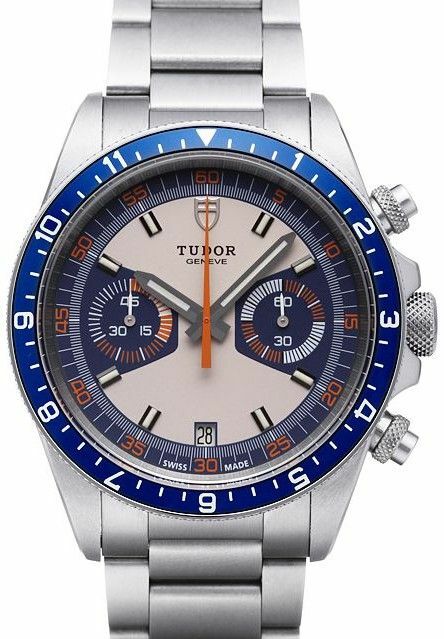 If you’re looking for the same quality timekeeping standards with a slightly smaller budget- opt for a Tudor. Tudor watch packaging even mimics that of Rolex, and the watches are serviceable at any Rolex approved service center. If you are interested in purchasing a fine watch from Jonathan’s Fine Jewelers, give us a call or fill out our contact form and a representative will be with you shortly. Check out our Facebook page for box openings and watch reviews by our in-house watch expert Sergio Nuncio!